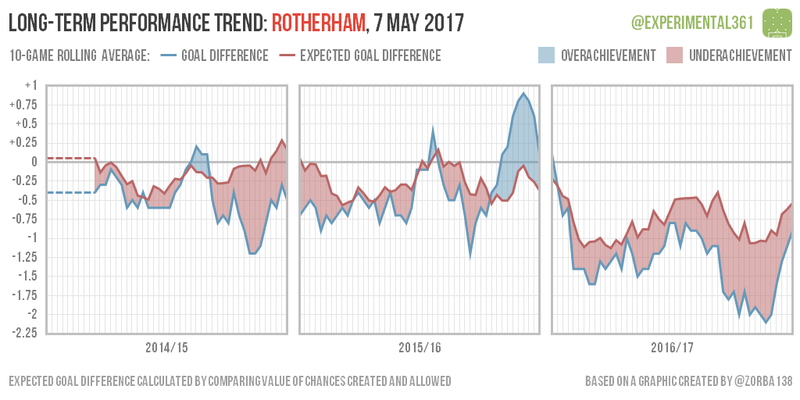 With the League 1 season over I thought that it was about time I updated the long-term trend graphics I introduced at the end of December to see how each club fared throughout their last three seasons. These are explained in full here and briefly below. 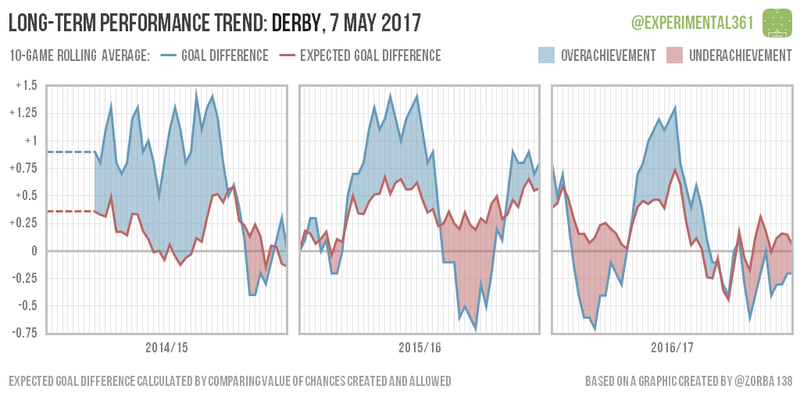 Overachievement this season has masked some concerning performance levels. 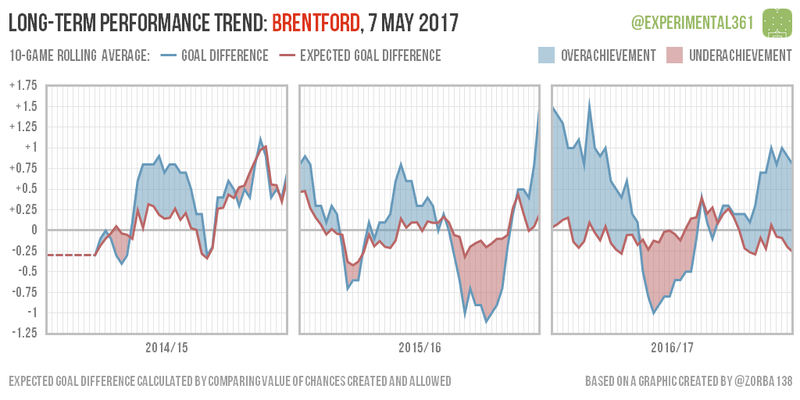 A good start soon faded and the less said about Gianfranco Zola the better, although he did have a bit of bad luck. 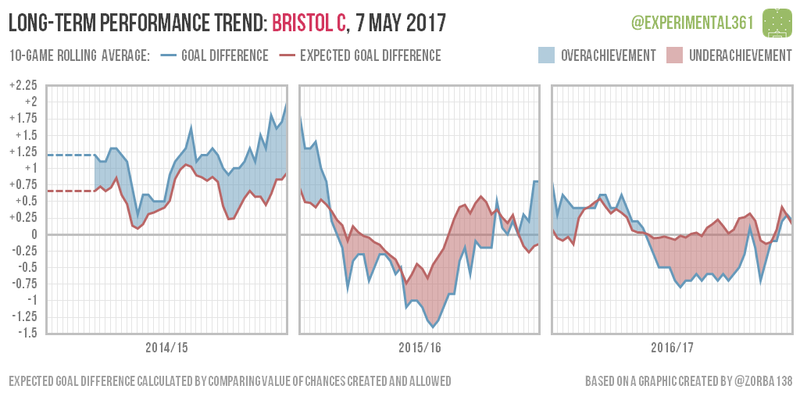 A frustrating start and finish to a poor season ultimately cost them their place in the second tier. 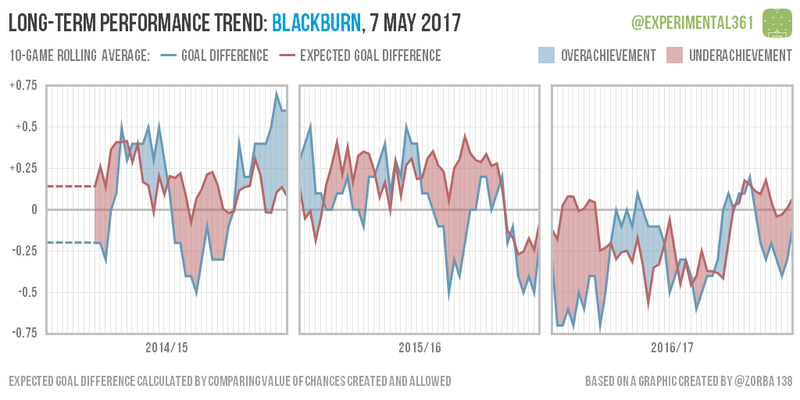 A rollercoaster season saw a frustrating dip in form sandwiched between two hot streaks. 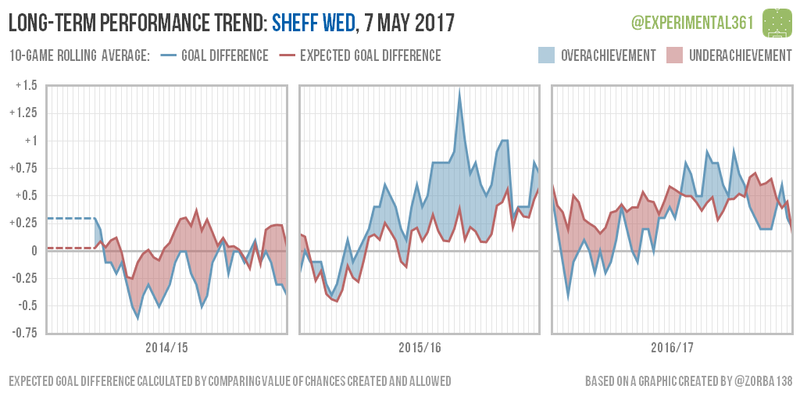 Consistently strong performances – along with a mid-season hot streak – earned them promotion. 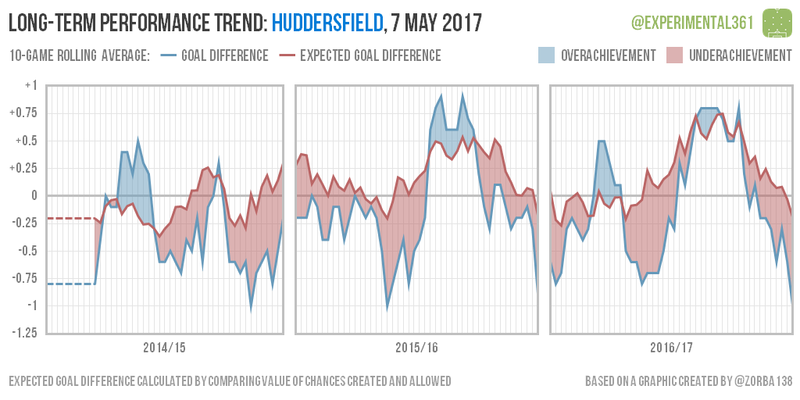 Consistently underachieved this season despite respectable performances – it seems only fair that they avoided the drop. 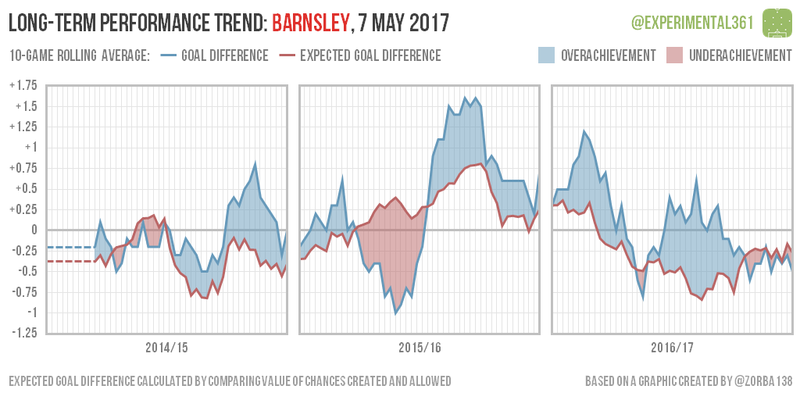 Their survival may have looked more comfortable without that big red smear of underachievement, but they navigated the run-in more capably. 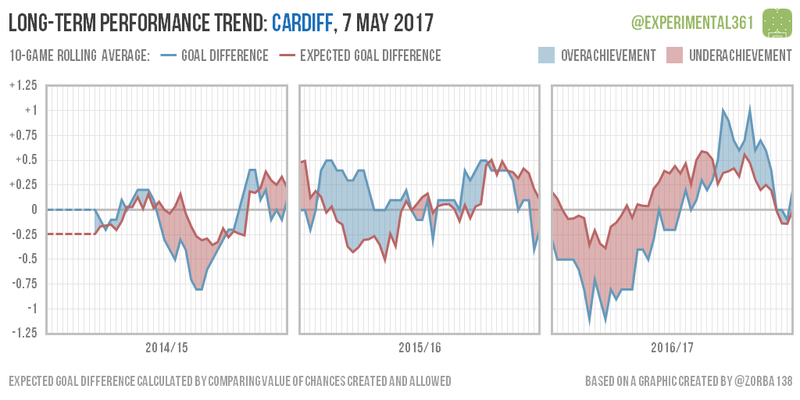 Neil Warnock oversaw a significant improvement in performances and also ended a long unlucky streak. 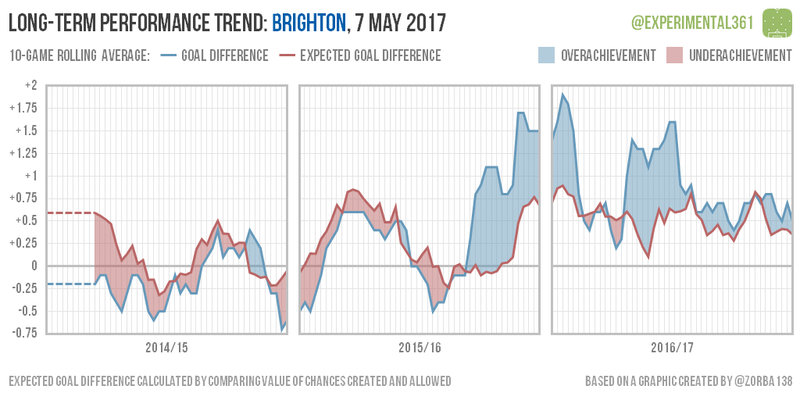 Another rollercoaster campaign with a strong mid-season buttressed by disappointment. 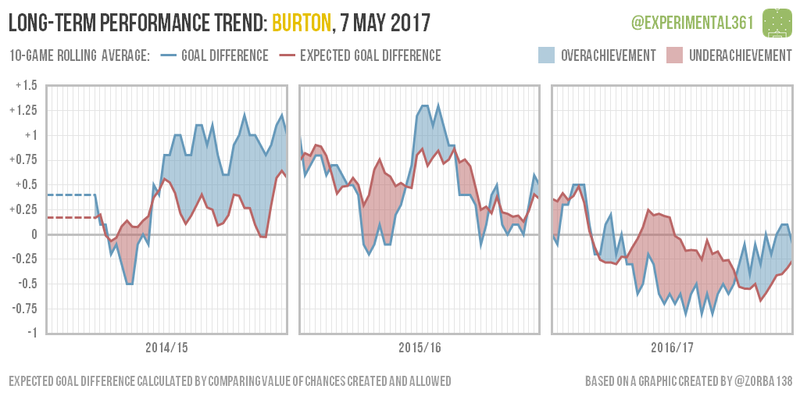 A much improved season really kicked in after the first few months. 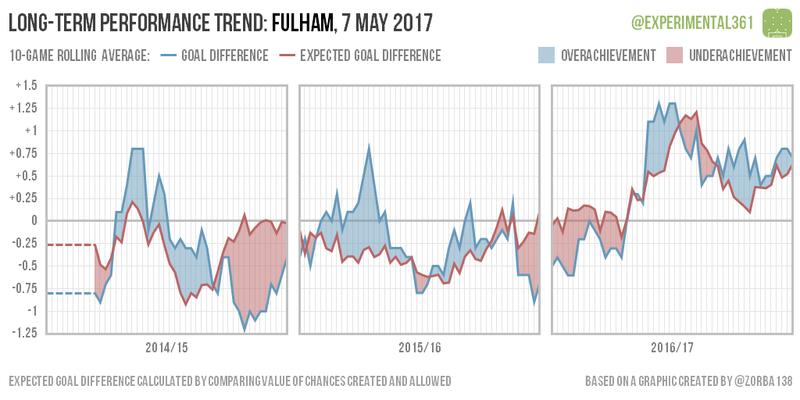 After a relatively average start, performances improved but fell just as sharply during the run-in. 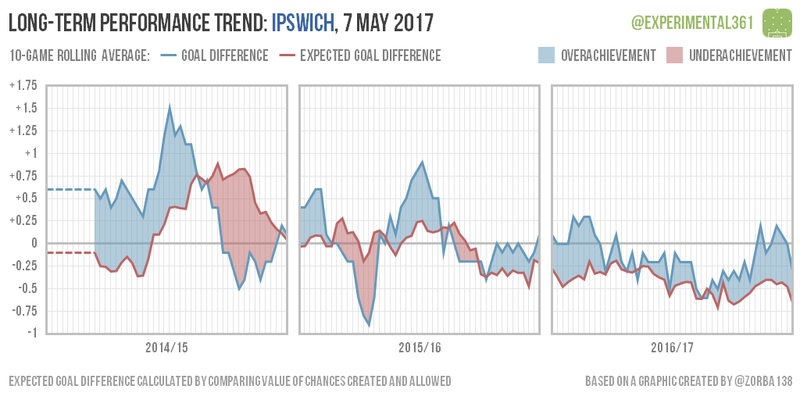 Ipswich’s decline continued worryingly this season, although they consistently achieved slightly better results than the data suggested. 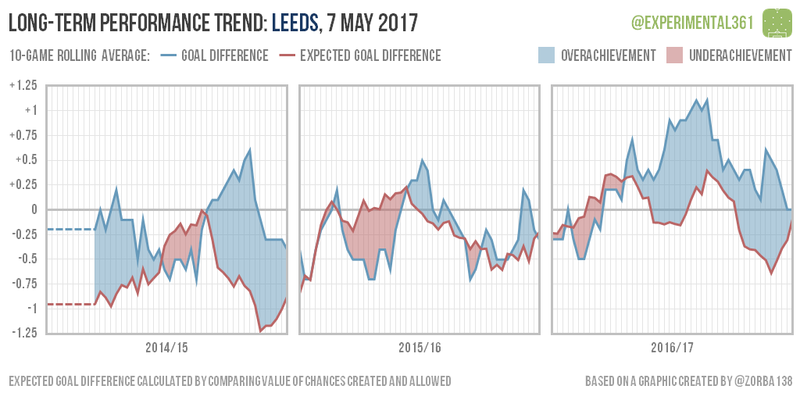 Leeds’ play-off surge looked unsustainable and the bubble eventually burst, although performances also dropped off towards the end. 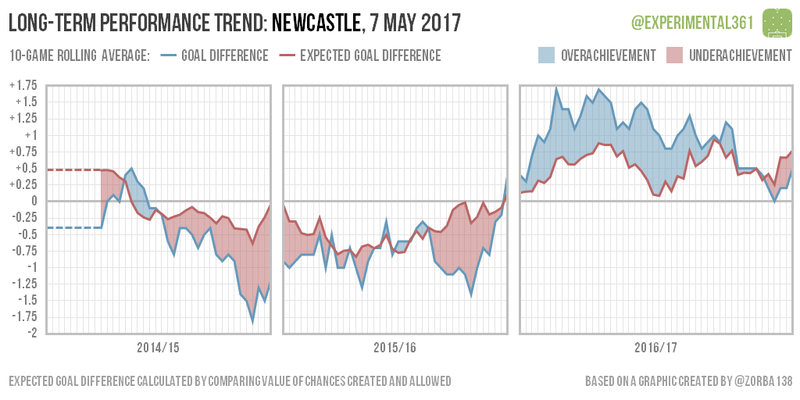 They may have ridden a hot streak for much of the season but the Magpies’ underlying performances were very convincing. 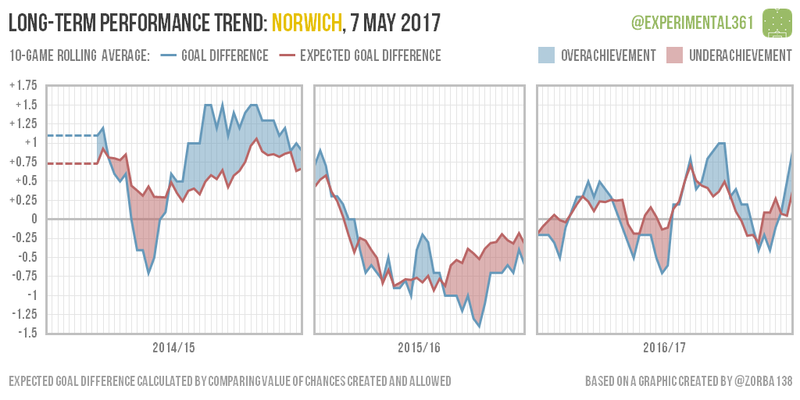 A post-Christmas surge aside, Norwich put in some pretty average performances compared to their last season at this level. 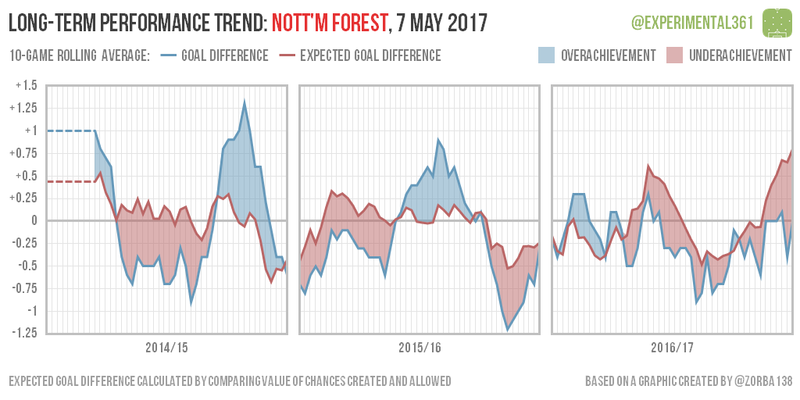 Forest look to have suffered some bad luck this season, although performances were definitely poor at times, but they finished strongly under Mark Warburton. 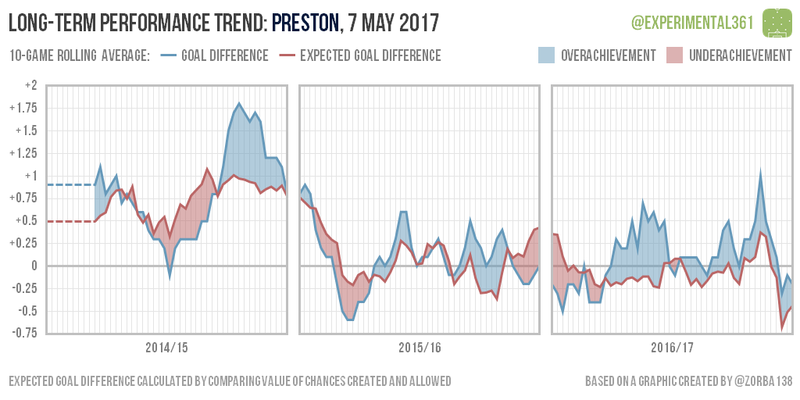 Another solid campaign from Preston saw them perform well apart from a few hiccups during the run-in. 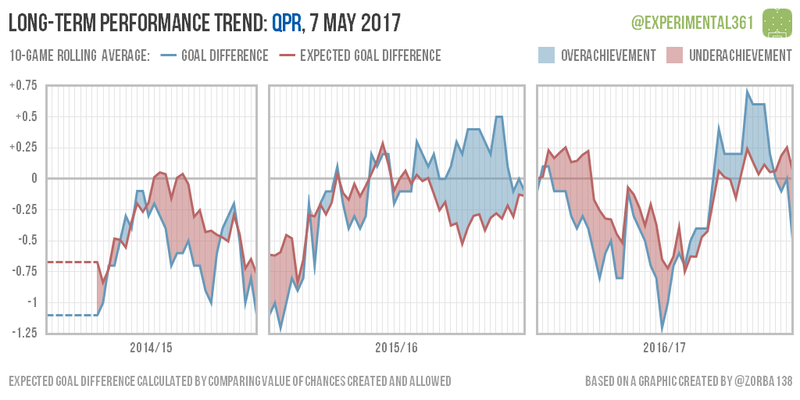 I have to admit I thought Holloway would be a disastrous appointment, but QPR improved significantly in the second half of the season. 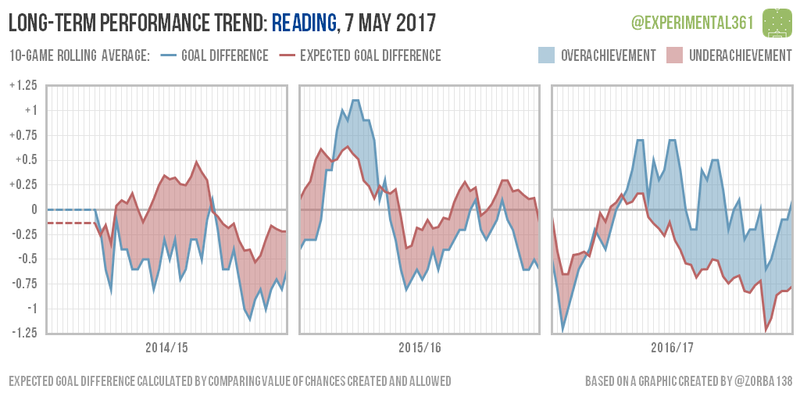 After a bright start Reading’s performances became more and more suspect but their results didn’t tail off anywhere near as fast. They remain an enigma for the time being. 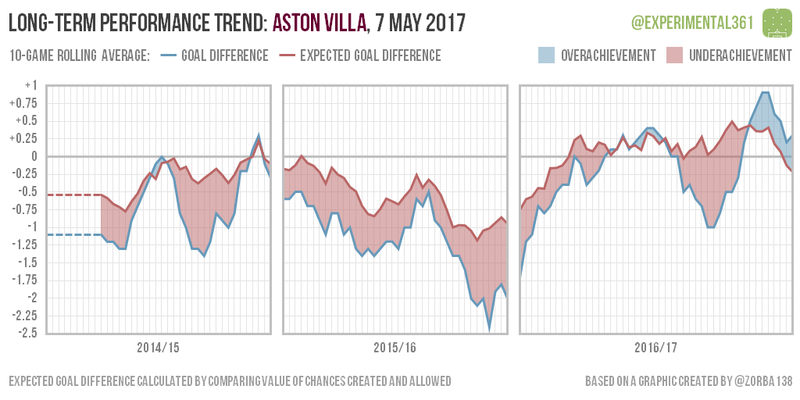 An awful season from start to finish, even if the extent of the damage made them look worse than they were at times. 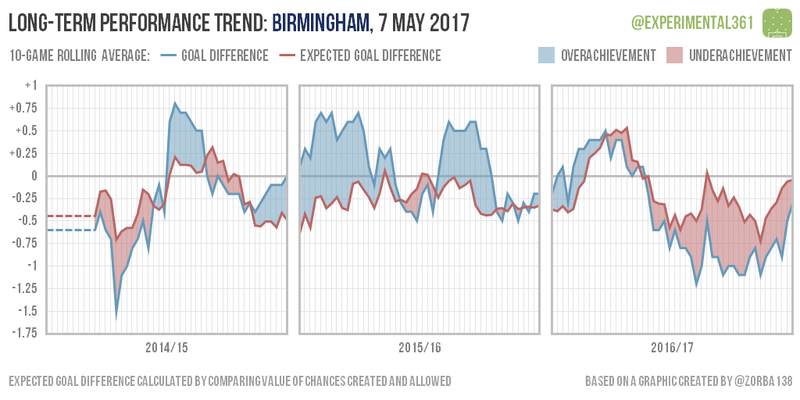 The Owls continued their improvement from last season and look to have deserved their top six finish. 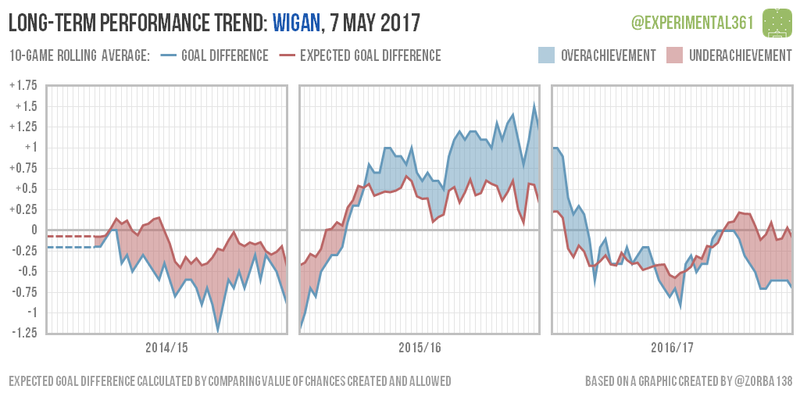 Wigan actually improved noticeably after Christmas but struggled to get the results to go with their performances. 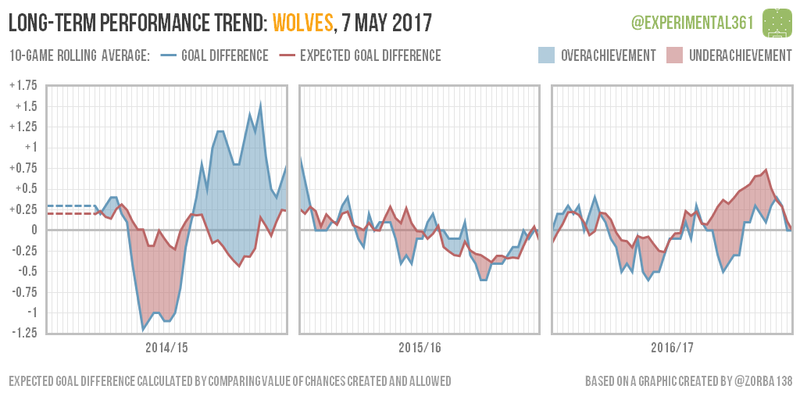 It was a solid season for Wolves overall, with a strong finish tailing off during the run-in.